My rating: 8.5/10. Very good watch. 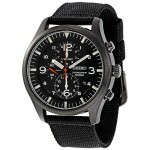 Impressive affordable chronograph. Today I’m doing a Seiko SNN079P2 review. Seiko has been creating highly accurate timepieces for over a century now. They’re even the official timekeepers for a variety of professional sporting events. 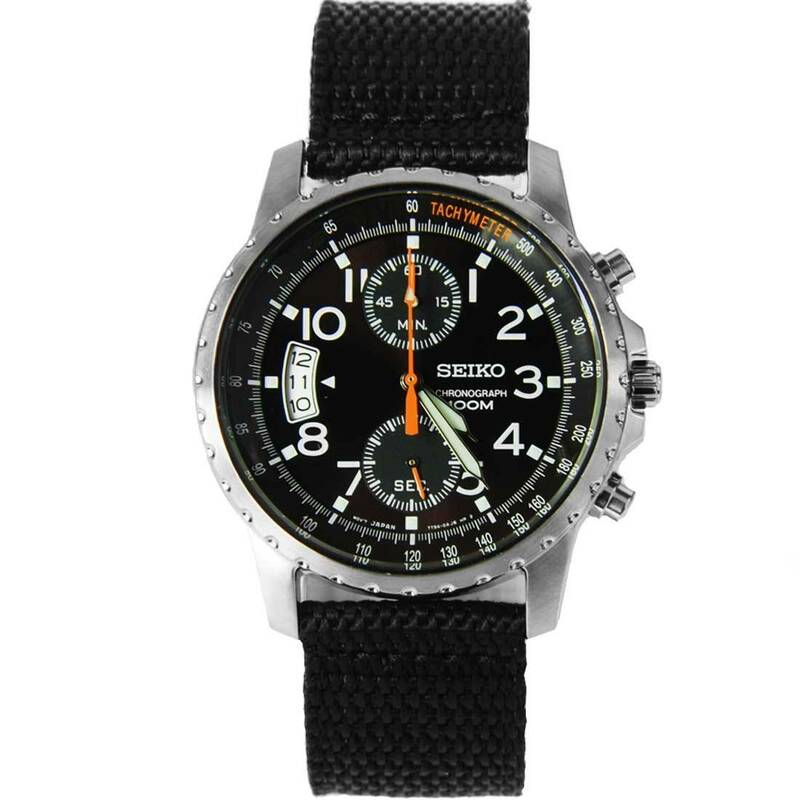 The model we’re looking at today is very popular among Seiko fans and features a tachymeter, chronograph timekeeping, and a 100m water resistance. The first striking feature I noticed on the dial of the watch is its date display. You don’t often find the date display located on the left-hand side of the dial so that was interesting to see. Overall the design of the dial has this very easy to read style. The numbers are relatively large and stand out against the black background. It’s also easy to read in the dark due to the high-quality lume that’s been used on the hands and indexes of the watch. It’s a fairly standard size watch with a casing diameter of 42mm and a thickness of 10mm. This is now a fairly popular size for watches as people have started to desire larger timepieces. Protecting the dial is a Hardlex window lens which is Seiko’s own version of mineral glass. This style of glass offers a good level of protection from scratches and knocks. 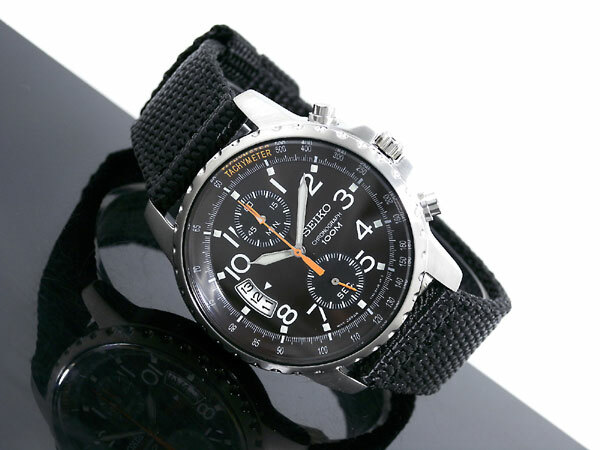 The SNN079P2 features a high-quality cloth strap that provides comfort and ease of use. 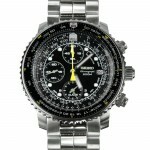 The chronograph display has two subdials that display 60 seconds and 60 minutes. Band Cloth strap, standard length, 20mm width, buckle style clasp. Case Stainless steel casing, sizing diameter: 42 mm and thickness: 10 mm. Dial Analogue display. Features a date display. The window lens is made of Hardlex crystal. 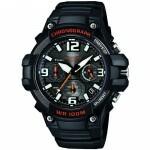 100m water resistance, suitable for recreational surfing, swimming, snorkeling, sailing and water sports. Some people can find the dial a bit too busy for them. The Seiko SNN079P2 is an affordable entry option for those wanting to get into watch collection. Seiko are normally one of the first watch brands people go for when seeking something that offers both quality and value for money. For me personally, I really like the design of this watch, the dial, the left-hand date display and the interesting hint of orange for the seconds. Overall a very nice watch in my opinion. Hope you enjoyed this Seiko SNN079P2 review. Find more watch reviews below. I’m interested in purchasing this watch from Amazon, but saw several comments which says the diameter is less than 42mm (39-40mm), and that overall, it looks like a small piece. is it possible that this model has several sizes? can you confirm it really is a 42mm piece?